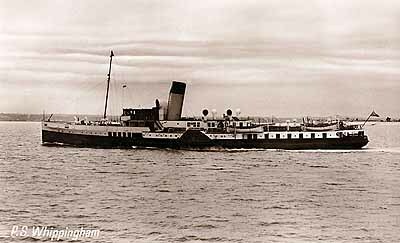 The paddle steamer PS Whippingham operated by Southern Rail on the Ryde-Portsmouth route. She was requisitioned during WW2 and took part in the Dunkirk evacuations (1940) and the Normandy landings (1944). She was returned to railway use in 1946 and continued in service until 1963 when she was scrapped.